This is my husbands childhood dresser. I wanted to keep a masculine feel to it and give it a new look. 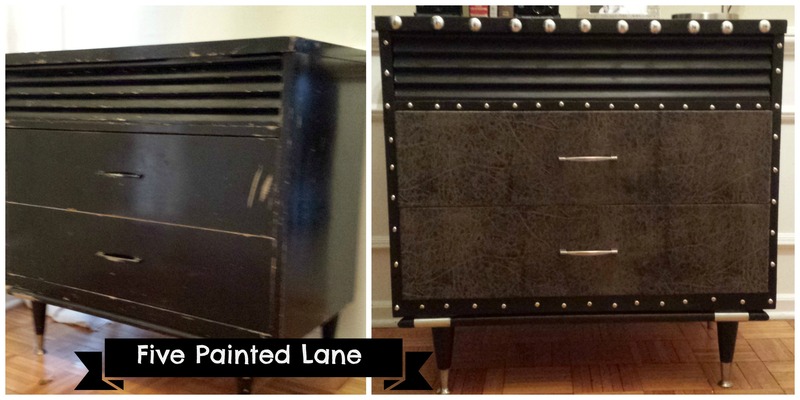 The drawers are covered in a faux leather fabric. It was glued on and then stapled on the back edge of the drawers. I used the same hardware and added some upholstery tacks for extra interest.